Sensive Hill Kathu, Hotel Thailand. Limited Time Offer! Sensive Hill. "Sensive Hill" has received 4 stars. It is excellent for exploring Kathu. The nearby airport makes the residence easy to access. All of this hotel's bedrooms have been described as being Thai. Thanks to the air conditioning, you will always find a pleasant room temperature inside. Guests can take a swim since this accommodation presents its guests with a swimming pool. For visitors who fancy sports, the residence offers golf. Furthermore, this accommodation boasts a gymnasium. Treat yourself to a massage. The onsite restaurant is fusion. The restaurant serves its Thai specialty. Breakfast is served every morning and provides you with a good start to the day. Staying connected with the rest of the world is made easy with free Internet access. Sensive Hill offers luxurious resort accommodation with stunning views of The Loch Palm Golf Club Phuket, 2 outdoor swimming pools, private beach access and a Thai-European fusion restaurant. 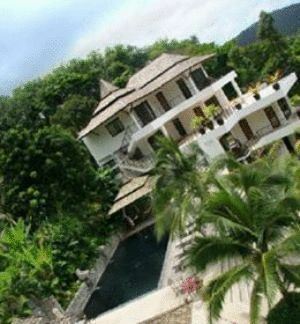 The 4-star Sensive Hill Hotel offers comfort and convinience whether you're on business or holiday in Phuket. The property features a wide range of facilities to make your stay a pleasant experience.